Goshawk received a National Safety Council (NSC) Occupational Excellence Achievement Award in 2017 for maintaining injury and illness records better than or equal to 50% of the Bureau of Labor Statistics for their North American Industry Classification System (NAICS) code. 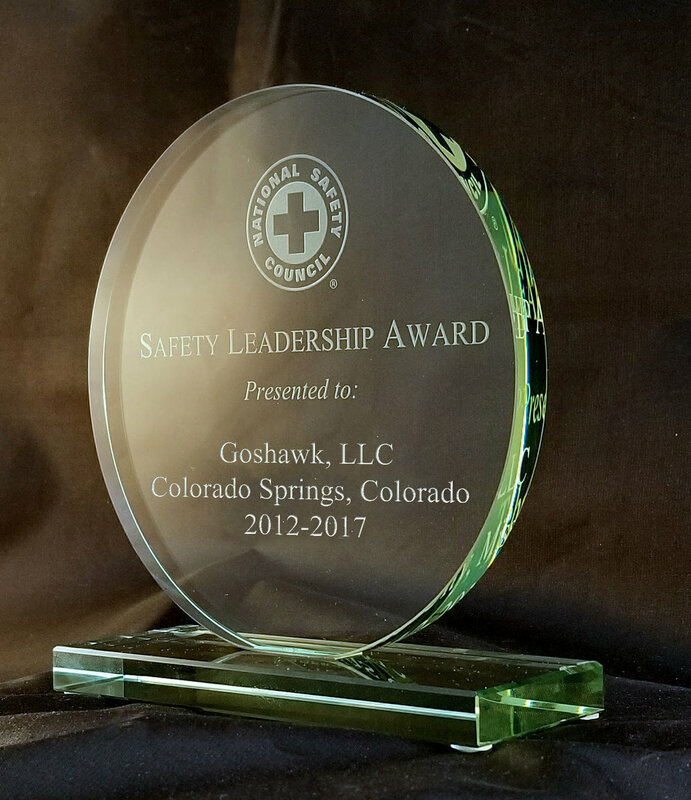 Goshawk received a National Safety Council (NSC) Safety Leadership Award in 2017 for five straight years of no occupational injuries or illnesses that required employees to miss work. Goshawk received a National Safety Council (NSC) Perfect Record Award in 2016 for reaching 12 months without an occupational injury, illness or death.